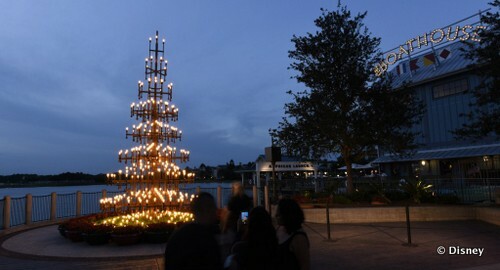 The massive shopping, dining, and entertainment complex sitting on t he shore of Lake Buena Vista is turned into a "magical winter wonderland" where each neighborhood in Disney Springs will be transformed for the season with unique style tat reflects the neighborhood's role this waterfront town. 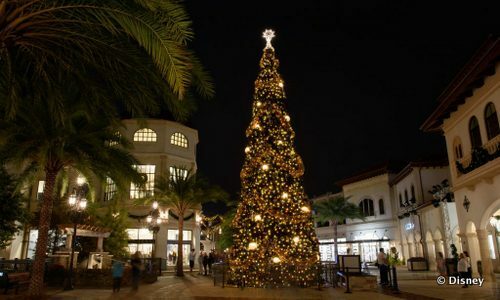 The Christmas Tree Trail will be back and bigger than ever. While getting that special holiday shopping done, kids of all ages can enjoy Stitch's Holiday Gift Hunt. Our favorite little blue alien has expanded the scavenger hunt, which now features four new stops! Participants will pick up a location map and gift stickers before heading off of a hunt through store and shops of Disney Springs. Be warned though, Experiment 626 is pretty mischievous, a completed hunt map will earn guests a special prize. It's Christmas in Disney at the Magic Kingdom, where the Enchanted Florist and Disney Landscaping team goes into overtime creating the most magical holiday environment of all. 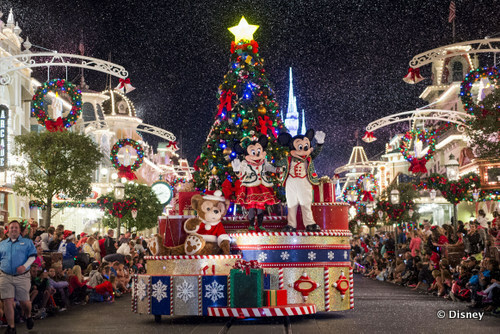 From Dec. 23-Dec 31 guests of the Park will be delighted with a daily presentation of Mickey's Once Upon a Christmastime Parade "Brimming with magic and cheer, the parade features Santa Claus, gingerbread men, elves, reindeer, toy soldiers and other friends from the North Pole." And of course Disney's very own Mickey Mouse with all of his friends help to create an over-the-top celebration of the season. You may have seen it on TV before, but until you see it in person you don't know how much fun it really is. Also from Dec 23-Dec. 31 the Castle Forecourt Stage will be taken over with Mickey's Most Merriest Celebration. Mickey and Minnie will great their friends for an unforgettable "Christmas soiree filled with classic and contemporary holiday songs." Specially choreographed holiday projections on Cinderella Castle will build to a sensational, seasonal finale with snow! Disney's Hollywood Studios will be home o several new holiday happenings, including Sunset Seasons Greetings. "This new holiday experience features spectacular projections of Mickey, Minnie and other beloved Disney characters sharing their favorite Christmas stories as a snowy Sunset Boulevard twinkles with stunning holiday decorations." 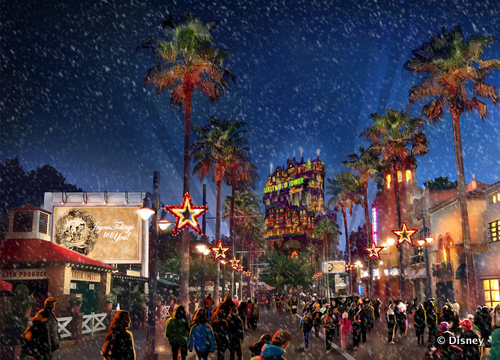 Billboards to come to life, and the Hollywood Tower Hotel will transforms into scenes of the season from a giant pile of Christmas gifts, to a gingerbread house and even a dazzling frozen winter wonderland! You may even catch a glimpse of a certain summer-loving snowman. "Jingle Bell, Jingle BAM!" opens for the 2017 holiday season on Nov. 9 for a spirited yuletide adventure to get Santa back to the North Pole in time for Christmas Eve. State-of-the-art projections, fireworks, special effects and Christmas music to create a dazzling, one-of-a-kind holiday experience for guests. To make viewing of the shop even more exciting, guests can reserve a spot at the "Jingle Bell, Jingle BAM!" Dessert Party for sumptuous holiday-inspired snacks, delicious desserts, wine, beer, and specialty alcoholic and non-alcoholic beverages and special seating to view the nighttime spectacular. As well as a surprise character appearance. This fun-filled special event is offered Nov. 9-Dec. 30, 2017. Book online by calling (407) WDW-DINE. At Epcot Holidays Around The World is one of my favorite Disney traditions, as each different pavilion in World Showcase delights visitors to their with traditional wintertime stories, activities, and holiday happenings. This year guests will be able to get a taste of even more amazing holiday food favorites as the number of holiday kitchens doubles in size this year to a total of 15! Sweet treats include snowflake sugar cookies, warm apple fritters with cinnamon ice cream and caramel sauce, Three King Bread, Stollen, and a Maple Buche de Noel just to name a few. Also new this year at Epcot is Chip & Dale's Christmas Tree Spree. It's a brand new scavenger hunt game that gets folks travel around World Showcase looking for the famous chipmunks with their ornaments. Guests can return their completed maps for a festive surprise, courtesy of Chip and Dale. Maps will be available for $5.99 plus tax. Finally, no trip to Disney for the holidays would be complete without doing some hotel hopping to see the amazing range of themed holiday decor, and gingerbread displays. The largest of these displays is always at Disney's Grand Floridian Resort & Spa, is a life-sized holiday gingerbread house that is home to a shop selling the most delicious gingerbread with a classic recipe that comes straight from Austria. Over at Disney's Beach Club Resort guests will find a life-sized, edible spinning carousel, while a holiday village with miniature train takes center stage at Disney's Yacht Club Resort. Often voted the most magical of Disney's Resorts during the holiday season, Disney's Wilderness Lodge, allows its guests to kick back beneath the grandeur of the towering lobby Christmas tree for a cup of seasonal treats and good cheer. This year the wintery downtime continues out lakeside with seasonal cocktails at Geyser Point Bar & Grill, before settling in around the campfire with s'mores and hot chocolate at nightfall. 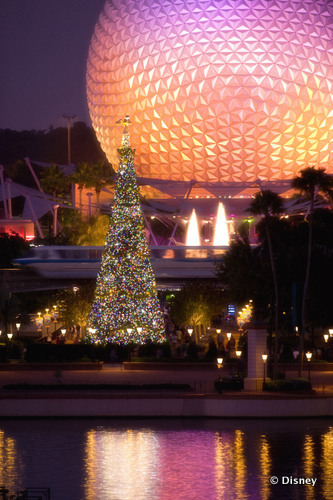 Now matter how you spend your holidays at Walt Disney World you are sure to come across a dazzling display of magic and festivity. What are the things you most look forward to? Leave a comment and let me know!